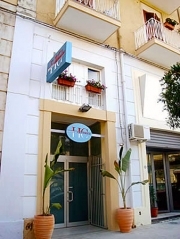 The hotel is placed right in the centre of Syrause, closed to the railway station and only 10 minutes from the ancient historical centre on the island of Ortigia and from the famous archaedogical Park. The hotel is the ideal place to spend a relaxing holiday at the beach or exploring the beautiful artistic cities of Sicily. It has a terrace with a solarium, a garden, a reading room and WiFi internet access. Our friendly staff are always on hand and are pleased to welcome guests and provide information about the main sights in the area. The guest rooms are decorated in traditional style, and are equipped with satellite colour television, air conditioning, a minibar, a direct dial telephone and an en suite bathroom. From the A19 Palermo – Catania motorway, follow the directions for the SS114 state road towards Siracusa. The local railway station is the Syracuse station, found just a short distance away from the hotel. 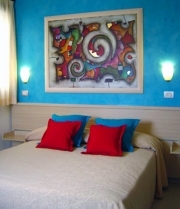 From Catania – Fontanarossa International Airport, take a bus or taxi to the hotel.